One-piece molded polypropylene shell, pneumatic cylinder. Chair swivels 360°. Pedestal base has a five-prong construction. Adjustable 18" diameter Chrome footring. Five 2" diameter, dual-wheel, hooded swivel casters. 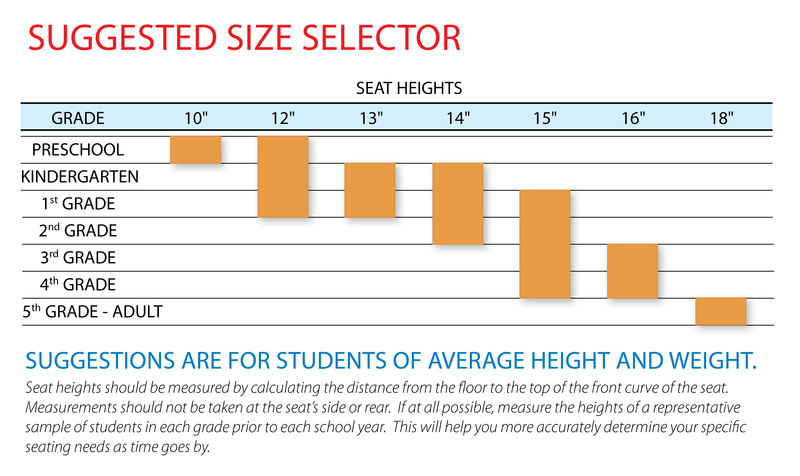 Seat height adjusts from 20-3⁄4" to 28-1⁄2"; the footring is adjustable from 8" to 14". The overall height is adjustable from 32" to 39-1⁄2". An optional 5-pack of fixed glides and an optional 5-pack of soft-wheel casters are available.